See our membership page for more information on becoming a member. The Annual General Meeting and Forum for the CCIUCN will take place on Thursday, January 24, 2019 at the Canadian Museum of Nature in Ottawa. More information will be emailed to members. 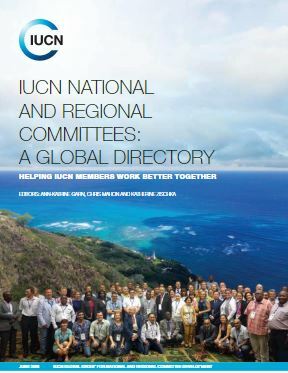 The Global Directory of IUCN National and Regional Committees is now available to view and contains information on the activities of these members of the IUCN family as well as their contact details. You will see from this document that there are more than 60 officially recognised IUCN National Committees and 7 Regional Committees as well as Country Focal Points in places where these arrangements do not exist. More National Committees are being established regularly, most recently in Benin in West Africa, the United States of America and Belize in MesoAmerica. The editors intend to regularly update the document which you can also download from the IUCN website. The 2017 CCIUCN Annual General Meeting was held Thursday, January 19, 2017. Please see the Events page for the proposed minutes and some of the presentation files. Save the date: 19 January 2017, Annual General Meeting for the CCIUCN in Ottawa at the Canadian Museum of Nature. Are there any topics that you would like to learn about or discuss at the AGM? Please let us know by November 23.